Included in the TESOL program with LanguageCorps are two excursions to popular destinations in Cambodia – Siem Reap and the temples of Angkor being one of them. 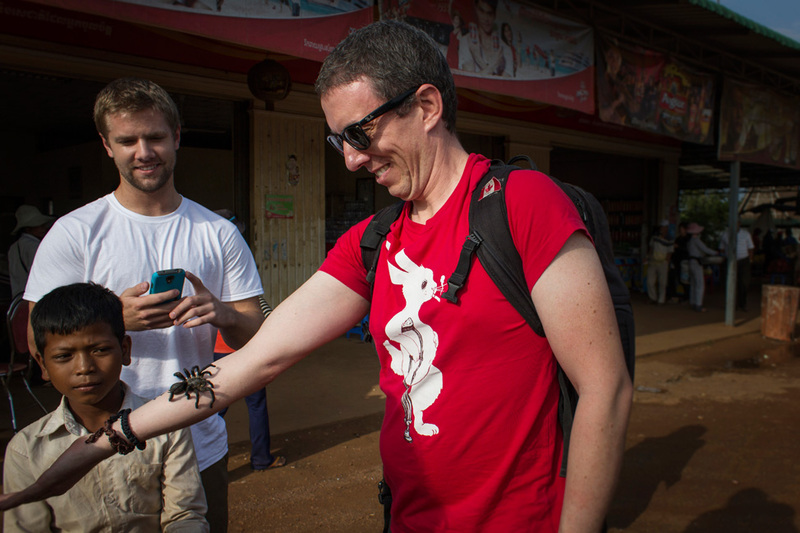 The itinerary to Siem Reap noted a stop at a town named Skoun, but nicknamed Spiderville. Yes, Spiderville. And upon doing a little research, I discovered that it is as horrible as it sounds (for someone who is terrified of tarantulas). I opted out of taking the transportation offered and booked a bus ticket on my own. So while I enjoyed comfortable seats, air conditioning and wi-fi on board, Pete and his classmates experienced Spiderville first hand. I couldn’t blame Dalene for wanting to skip the stop in Spiderville. 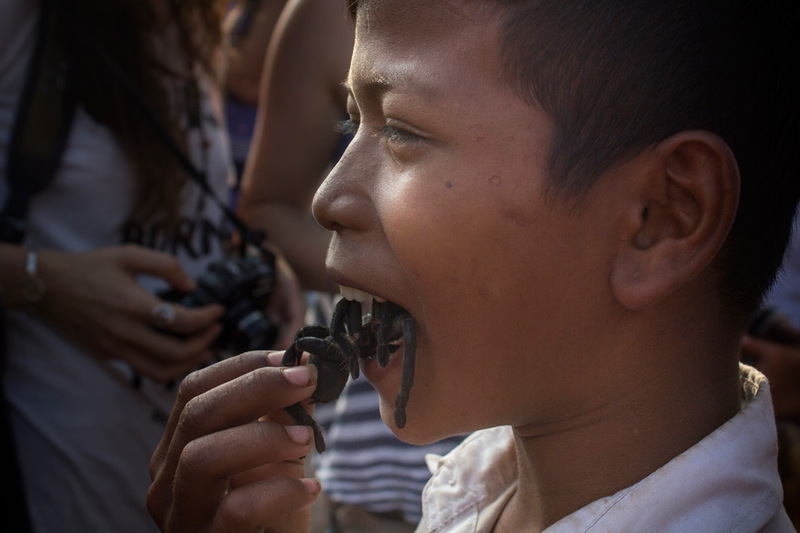 Rumor had it there were baskets of tarantulas lining the streets and that kids preyed off of tourist’s obvious fear – the more scared you were, the more likely they were to taunt you with their “pets”. As we neared Spiderville, my classmates joked about how this would be the only instance where they might feel justified in harming a child. But for me – I was more intrigued. Kids preyed off of tourist’s obvious fear – the more scared you were, the more likely they were to taunt you with their “pets”. When the bus stopped, kids flocked to it. Not with tarantulas at first, but peddling fruit. Their little bags of mangoes, pineapples and bananas were going for a steep $1 each, and the kids were aggressive and insistent. One kid attached themselves to each of us, and repeatedly begged for their fruit to be bought. All of a sudden, a small boy approached me, and before I knew it there was a tarantula crawling up my arm. 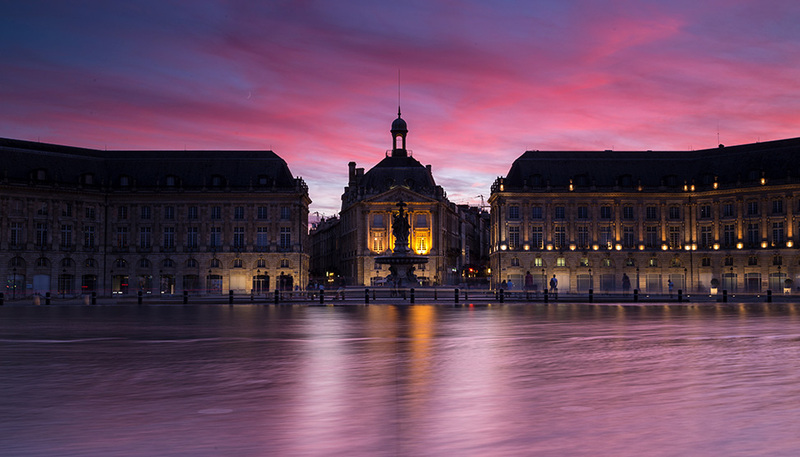 Thanks to Brooke Van Court for capturing these images. It felt exactly as I expected it to. A tingly sensation as the hairs on the tarantula’s legs brushed my skin on it’s climb up. I was given the nickname ‘Spiderman’ by the little boy as he laughed – it’s hardly an honor as I was sure everyone got that name. Then, the unexpected: the boy takes his pet tarantula and puts it in his mouth for a couple of seconds. This charade is obviously well rehearsed and elicits the required screams from most of the girls. At $0.50 each, it is a cheap snack. One of my classmates bought two and passed them around, I tore off a couple of legs and sampled them. Surprise! They tasted like chicken. Fried chicken wings, to be more accurate. 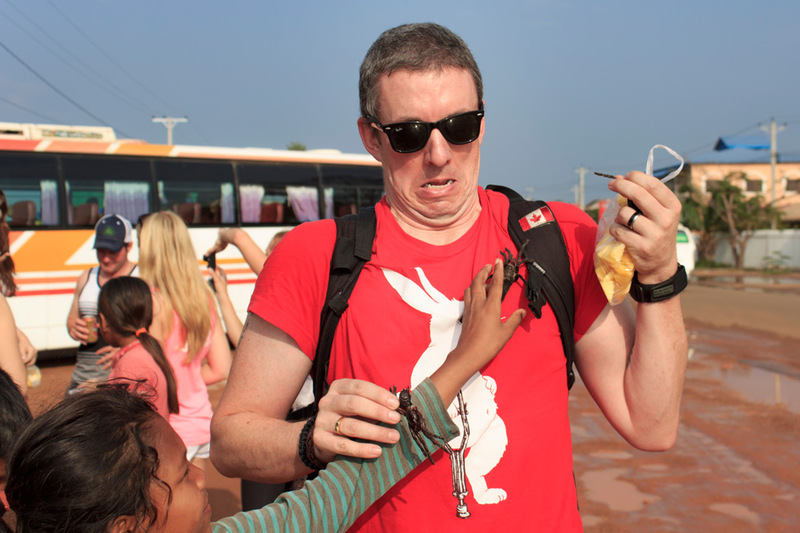 Just as I was about to try the spider, another kid placed one on my shirt and caught me totally off-guard. Hence the ridiculous look on my face that makes Dalene and I burst out laughing every time we look at it. Our spider-sampling done, we began to make our way back to the bus, but not without the children re-attaching themselves to us and continue their harassing sales tactics. They did not leave us alone (even following some into the bathroom). They knew exactly how to make us feel guilty: money for school, a dollar to eat, etc. There were even tears from those who didn’t make a sale. Overall though, an interesting experience, but maybe the only time that I was glad to not have Dalene with me (she would have FREAKED). And that would not be my last taste of this local delicacy as before this trip to Spiderville, I had promised our friend Tammy that I wouldn’t let her try it alone. She recounted our entire experience (there is even video!) in this post. That bus ride I took? Yeah – best $14 I ever spent. 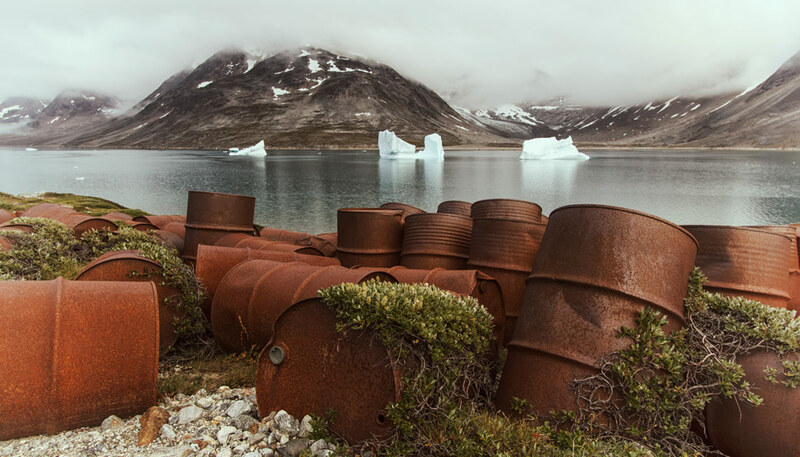 A scourge on the otherwise pristine landscape. Whoa! That is crazy! I would try fried tarantula for sure. 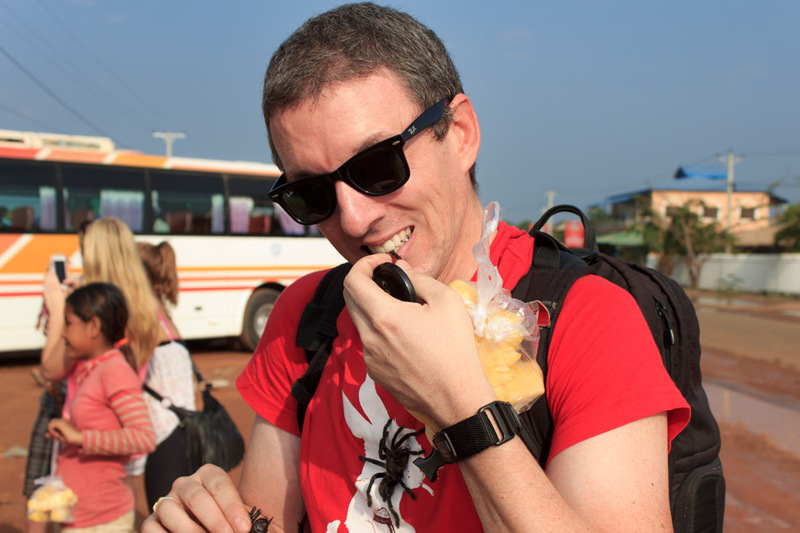 When I was in Cambodia the craziest thing I ate was frog. I know what you mean about the kids in Cambodia. I had a really hard time resisting them and even bought a couple bracelets from a little girl against my better judgement. It’s so hard to say no to kids, even when you know it’s in their best interest. Hahaha this. is. awesome! I would try it….but the only place tarantulas have been lately around here are on the receiving end of my machete if they come too close to the house. Hehe, yeah seeing them in the wild would be a whole other story. No way I would catch them myself…. So I guess my mom’s question, “are you eating BUGS and stuff over there?”, when I was in Southeast Asia was legit. 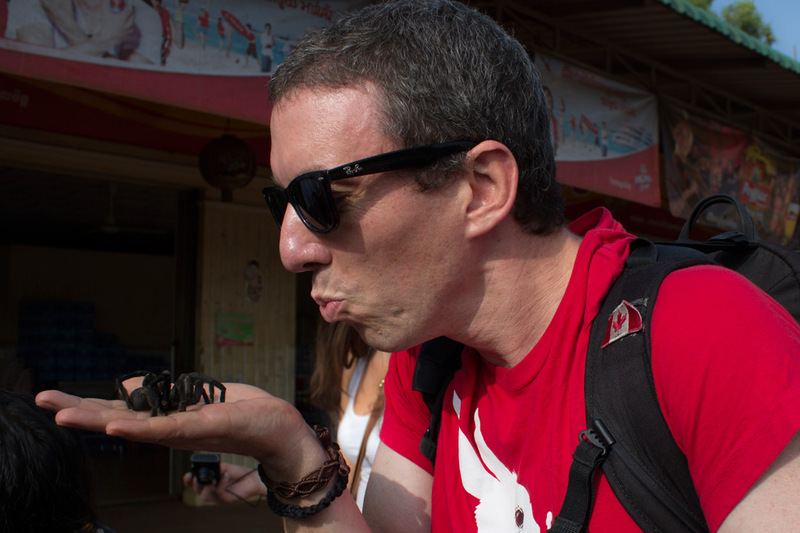 I could never eat a tarantula… I would have most likely joined you on the alternative bus ride. I don’t think I’m quite done either. I just found out there are some stalls here in CM that have some other tasty critters that I’ll have to sample. Eeek. I had to wait until my mom left the room to even read this post – she is terrified of spiders and would definitely have had nightmares after seeing this! Ha, I should put an advisory disclaimer at the top 🙂 Well if we ever come across spiders on the menu when we’re in the same town, let’s give them a whirl! Good on you Pete though! The kids begging and working was the hardest thing to deal with for me in Cambodia. It was pretty tough to deal with the constant begging, they do a pretty good job putting on the sad face and make you feel guilty. I could not eat the egg. I already have a tough time eating eggs as it is. Too have to deal with potential beak, claws etc, no thanks. Good for you though. 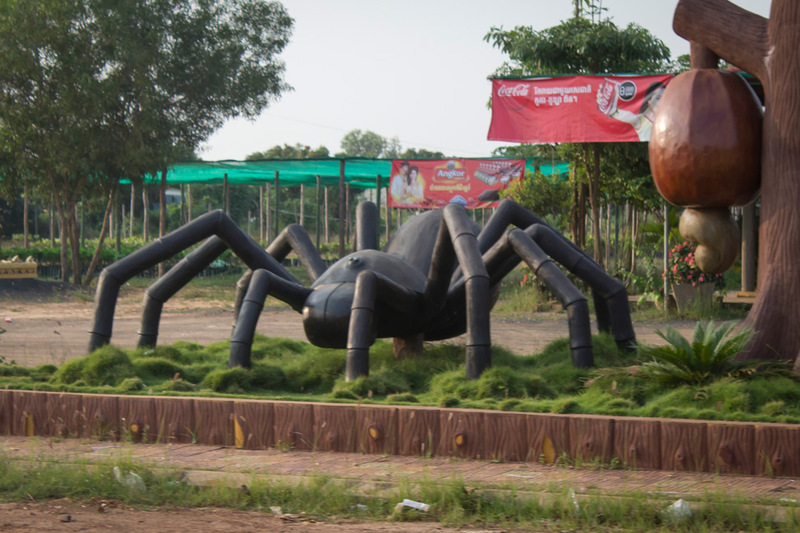 I’ve got a real phobia of spiders but now I’m thinking this might be one good way of confronting my fear when I’m in Cambodia next year – on the other hand I’ll probably bottle out of it! You are soooo much braver than I am. 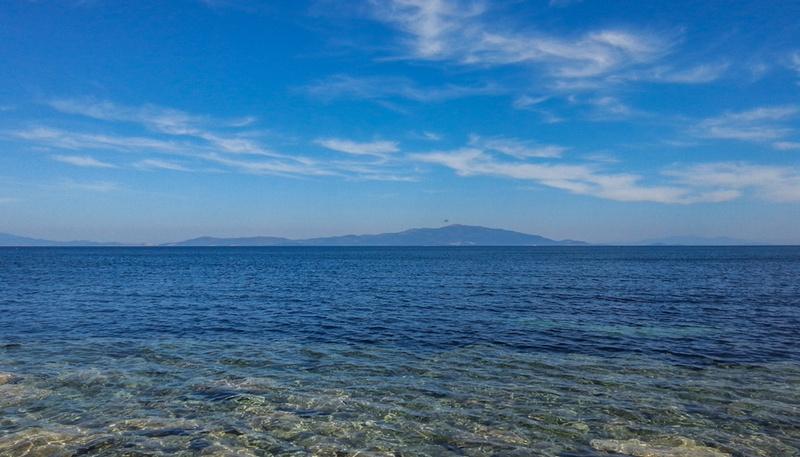 I would be with Dalene – some things I am quite happy NOT to experience. Thanks for the mention.